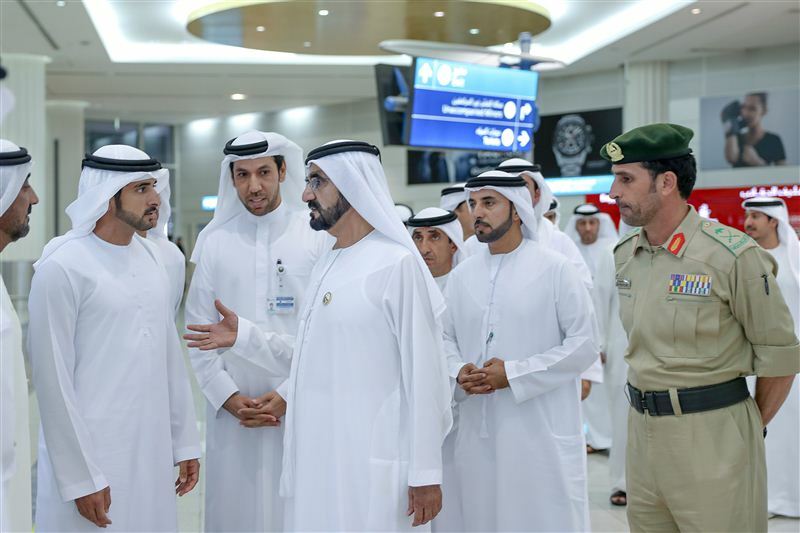 Vice President, Prime Minister and Ruler of Dubai, His Highness Sheikh Mohammed bin Rashid Al Maktoum toured the Dubai International Airport Thursday. Sheikh Mohammed, accompanied by Crown Prince of Dubai Sheikh Hamdan bin Mohammed bin Rashid Al Maktoum, and Chairman of Dubai Civil Aviation and Chief Executive of Emirates Group His Highness Sheikh Ahmed bin Saeed Al Maktoum, assured himself of the quality of world-class services and facilities as well as comfort and good treatment provided by the airport authorities to inbound and outbound travelers using one of the world's busiest airports. 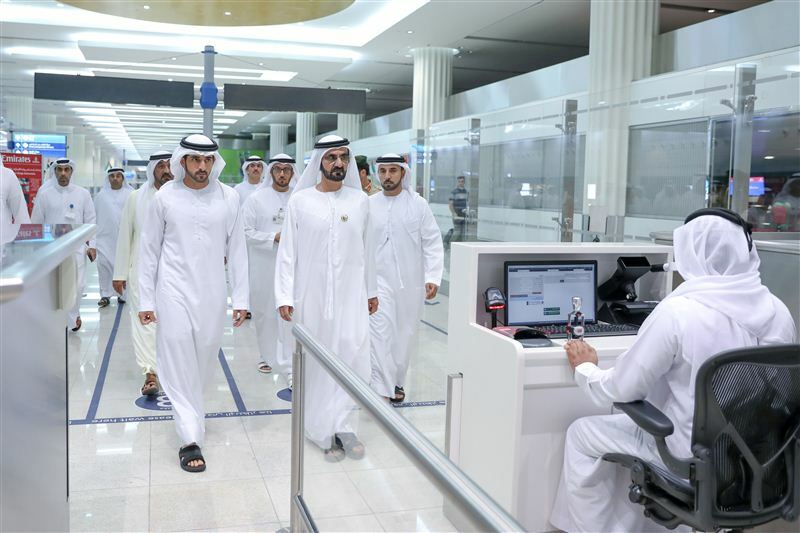 Sheikh Mohamed began his tour with the Departures Hall at Concourse 3 where he stopped at Emirate's check-in counters, baggage screening facilities and passport counters. 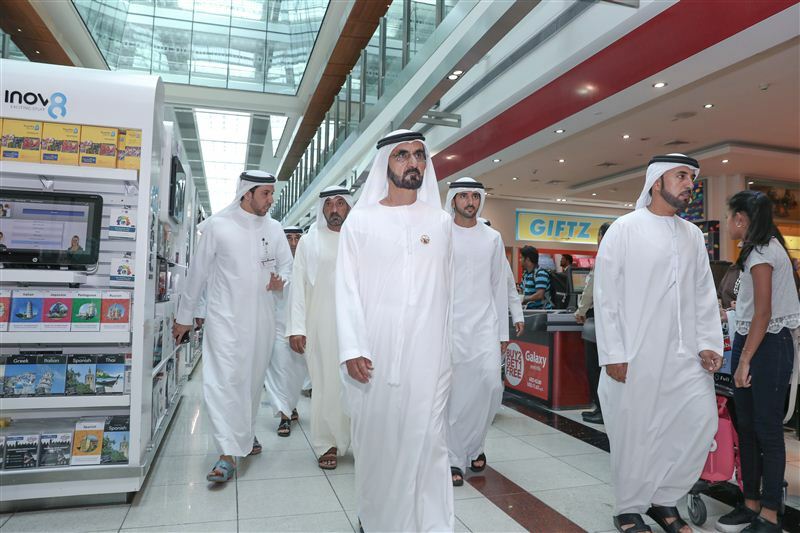 He interacted with passport officers, urging them to show handsome treatment and warm welcome to travelers. Major General Mohammed Ahmed Al Marri, Khalifa Saeed Suleiman, Director- General of the Department of Protocol and Hospitality in Dubai, and others accompanied H.H. Mohammed during the tour.